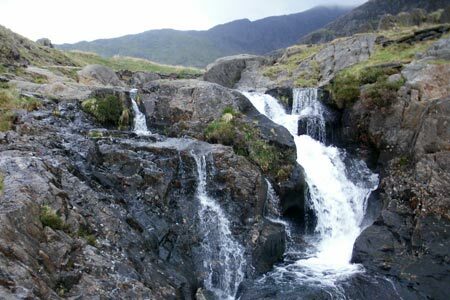 Starting from Bethania at the foot of the Watkin Path, this Snowdonia walk includes the summit of Yr Aran to obtain grandstand views of Snowdon and its associated peaks. The route also includes some interesting industrial archaeology passing through some of the old working of the South Snowdon mines. A GPX File is available for download (see walk description).